Hope you're having a good day! 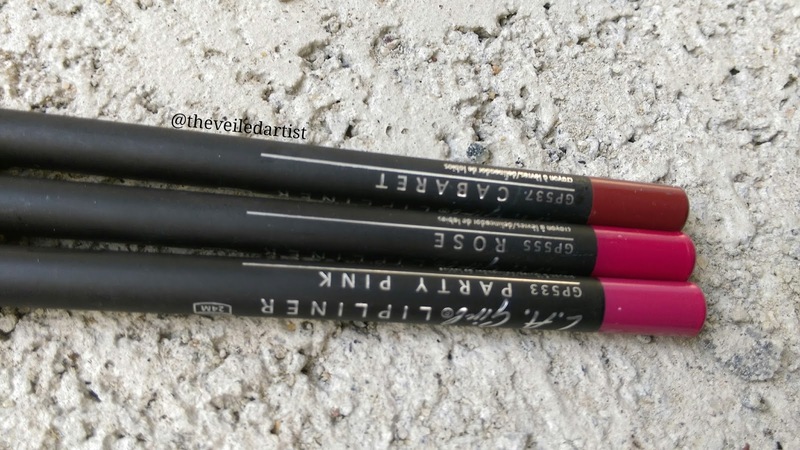 Today I shall be reviewing some LA Girl lip liners that I have been using a lot. Namely the shades Cabaret, Rose and Party Pink. 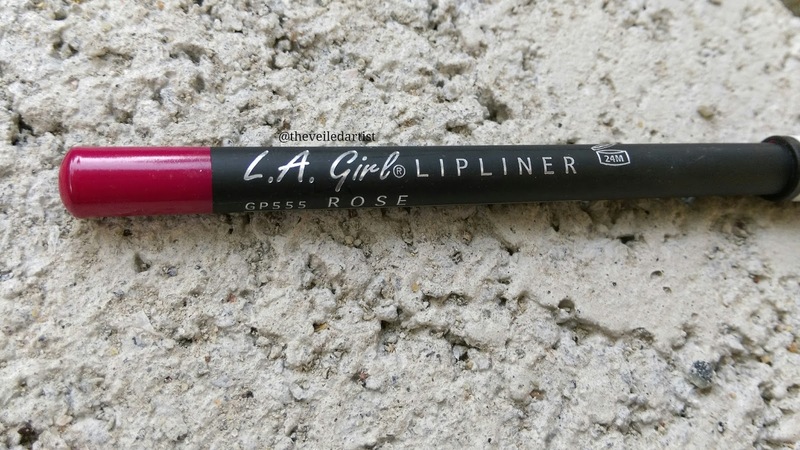 It costs $3 (450LKR) per liner on the LA Girl website which is already very affordable but you can definitely get it for cheaper with the many deals floating around. I really like the simple packaging of these. 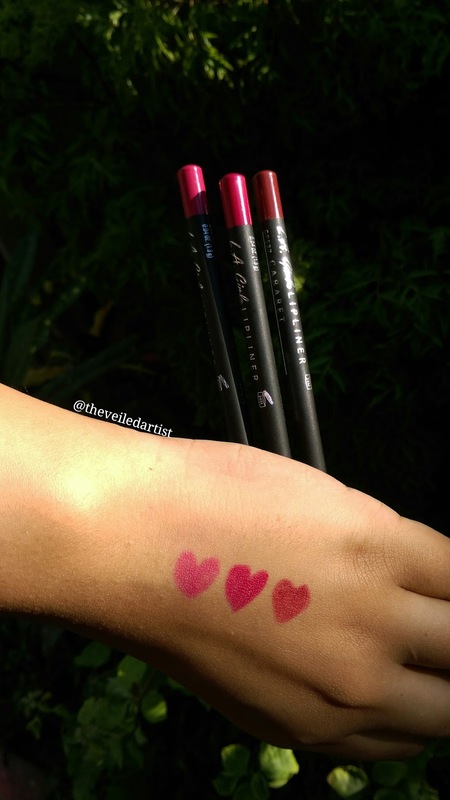 The colour of the liner is easily visible so you can see exactly which one you're grabbing. I also like that it doesn't break easily and can be sharpened with a regular sharpener. Oh and it's also got a lid haha. They're perfect for travel. I find that the twist up type pencils can't handle Sri Lankan heat well and like to melt in my makeup bag when it's sunny. I really enjoy these liners!! Especially the shade Cabaret. I love me a good wine/brick red shade. 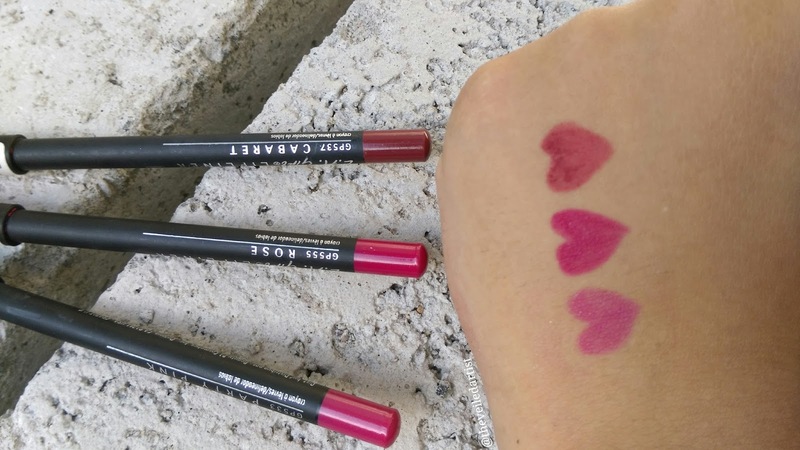 These liners go on easily and are super pigmented, just like all of LA Girl's products. 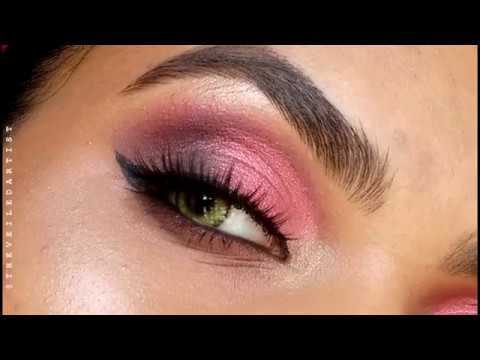 The consistency is quite dry so if you're looking for creamy liners you may not like this. 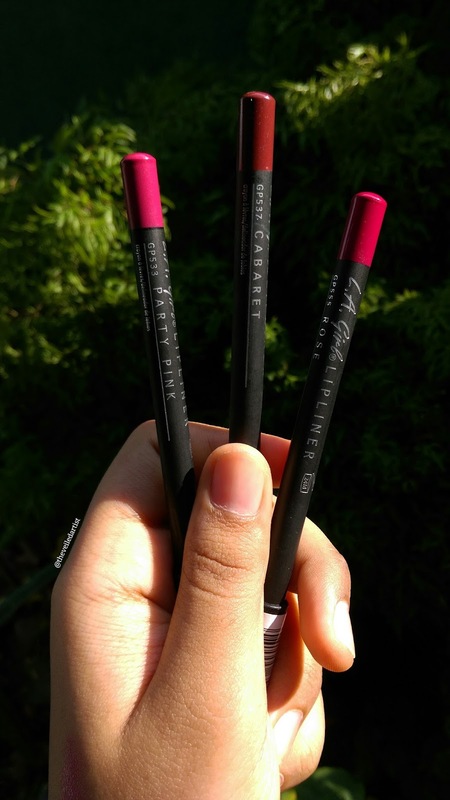 But when it comes to lip liners, I personally love slightly drier formulas that don't tug on the lip because they last so much longer. I've had most of Cabaret last on me through one full meal. Which is pretty impressive considering the fact that I wore it alone without any lipstick AND considering how much I ate lol. There are 48 shades available you guys!! That's crazy! You are sure to find a colour you love in this range. Totally! You should definitely try these out. They're also amazing for makeup artists who are just starting out and don't want to splurge on lip liners. and if you're on a mobile scroll down for the follow button. You will get a little email notification every time there's a new post up!